Youtube Spaces Mumbai finally opened its door to the Indian creator community after its initial announcement in August 2015. After Spaces in Los Angeles, London, New York, Tokyo, São Paulo, Berlin and Paris, YouTube’s 8th Space in Mumbai is in collaboration with Whistling Woods International. 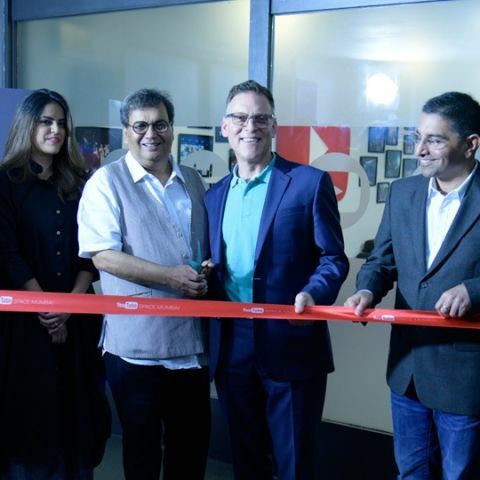 Lance Podell, Director and Global head of YouTube Space along with Subhash Ghai, Founder and Chairman of WWI “Unlocked the Space” announcing special courses for the students. This Space will encourage content creators, partners and WWI students to learn from the workshops, events and courses offered; develop a better connect between the communities in an aim to generate more quality content by providing pre-production, production and post-production facilities free of cost. At the opening event, the first official video shot and produced by YouTube Space Mumbai was unveiled starring pianist and composer Aakash Gandhi, singers Ash King and Shashaa Tirupati. In an exclusive interview with Digit, director of the video Devina Kanani shared her experience of attending workshops at the Space in London and working with the Space in Mumbai. Aakash Gandhi on the other hand, gave us a sneak peak about his upcoming video using virtual reality shot by a 360-degree camera at the YouTube Space in Mumbai clearly stating that it was equipped and capable of shooting 4K as well as 360-degree VR videos in its studios. Sadly, no other details about equipment or courses were made public. According to YouTube, in the past year, the amount of content uploaded to YouTube in India has grown by 90% which is more than the global average of 60%. So to encourage generation of more quality content, the Space not only will provide with the means, but also will teach creators the ways via various workshops. These workshops don’t have any eligibility criteria and anyone interested can sign up for it, where they aim at educating you about various sectors of content creation like comedy/satirical writings, dresses and makeup along with the technical, creatives and aesthetics to deliver quality content. But, for availing the production space your channel should have at least a 1000 subscribers. These Spaces come with a promise of not only improving the quality of your content, but also to maintain its privacy. Lance Podell; during his keynote mentioned that all the content created in any Space around the world is first checked for genuinity and only then posted on YouTube, but may not be exclusive to YouTube. After planning for over two years, YouTube Space Mumbai was announced in collaboration with Whistling Woods International in August. It would be interesting to look at what this emerging and vibrant market now has to offer with having access to shoot in studios as well as get guidance from the YouTube professionals present at the Space.